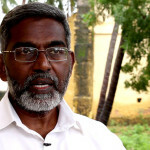 TRANSCEND MEDIA SERVICE » How Do We ‘Package’ Peace? Can We Make It Palatable? How Do We ‘Package’ Peace? Can We Make It Palatable? 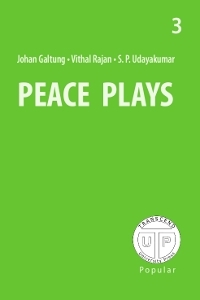 A review of Peace Plays by Johan Galtung, Vitahl Rajan, and S. P. Udayakumar; Kolofon Press, 2010. 95 pages. Available in bookstores or at www.kolofon.com and at www.transcend.org/tup. I suspect that little disclosure was written by Johan Galtung, about whom I know a little from my recent discovery of the TMS website (TMS (Transcend Media Service). That site, edited by Antonio C. S. Rosa, is a compilation of some of the finest work—original postings and re-postings–appearing weekly on the worldwide Web, “in social science, political or philosophical-ethical discourses.” It also presents works of art—poetry and art criticism. Works that are “multi-angle and dialogical.” The challenge at the website and in Peace Plays is to maintain focus. “Those who do [know about writing drama] usually know very little about peace,” we are informed. Is this an apologia? If it is, it is unnecessary. Each of these plays has merit, and Galtung’s, while not the most producible, may find its place among the great dialogical pieces of world literature. Those “dialogical pieces” would include, of course, the Book of Job, which has been called the world’s first, great play. I used to think of it that way, too, but, after reading Galtung’s “The Cardplayers,” I now conclude that Job is not so much a “play” as a series of dialogues between Job and his “tormentors,” Job and his wife, Job and God. Archibald MacLeish thought he could employ his formidable poetic skills, update the text, transform Job into an American business magnate, called “J.B.” And he made a clever go of dramatizing it, but I suspect his modern version is much more often read than performed. The thorny question–“what, exactly, is drama?”—persists. Aristotle, who liked to think about everything, put the matter simply: Drama is the “imitation” of an action. We need not actually see Iphigenia sacrificed by her brutish father (eager to ensure smooth sailing towards war! ); the “imitation” (or, intimation, suggestion, description) of the act should be sufficient to effect “catharsis”—a purging, and renewal; a revisioning. Of course, we need not transgress as far as Seneca and the Romans, with their buckets of fake blood on stage, or their real gore in their “circus maximus,” nor should we descend to the lowest common denominator of the contemporary American theater-scene, most American TV fare, etc. But, we do have to answer that challenging question on the back cover of this book–whether the authors can write drama. In the case of Galtung’s “The Cardplayers,” I am not so certain. On the other hand, I am certain that it is splendid writing that should be read and pondered, debated and discussed in university classrooms and elsewhere around the world! Generally, I am less generous with my praise! 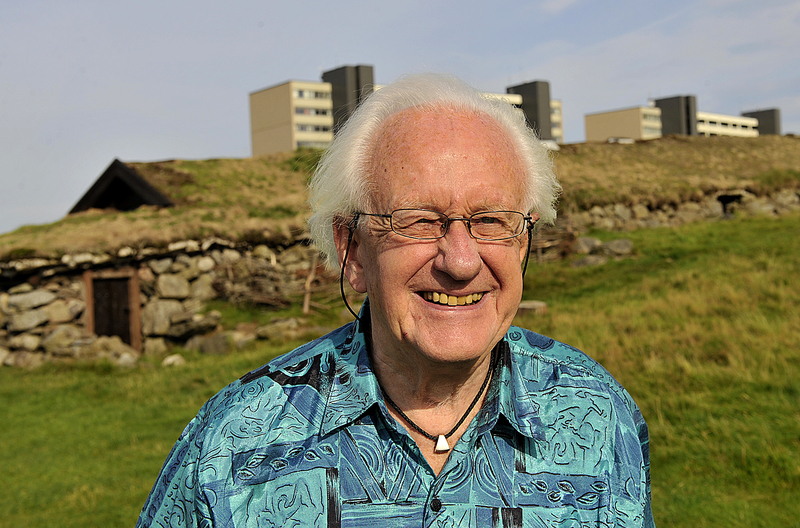 In Galtung’s case, that and more, is well deserved. 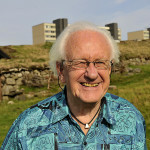 By 2010, this Norwegian-born octogenarian had published “about 150 books and 1500 articles on peace….” One need only Google his name or check out Wikipedia to learn of his seminal contributions to “Peace Studies” at universities around the world. The book cover informs the reader: “He founded TRANSCEND: A Peace, Development and Environment Network, in 1993 and was founding rector of Transcend Peace University.” There is no sign of his tiring or retiring any time soon…. What we have in “The Cardplayers” is not so much drama as a Platonic dialogue. We have a presentation of parallel lives: The President of the USA and the Secretary General of the Soviet Union. (This was undoubtedly first written some time back, but it remains painfully pertinent!) There is “The Ambassador,” representing the U.S. President, and the Foreign Minister of the S.U.. And there are “shadowy mafia types” in both countries. In an ironic, Jobian, but contemporary, twist, there is also “God, a middle-aged woman,” and “History, a middle-aged woman.” And various subordinates. The FM must next meet with various “representatives” from his own country in order to “sell” the US position. He encounters some opposition, but out-maneuvers those dissenting voices. What we see on both sides of “The Cardplayers” is a level of ignorance and self-serving delusions about “our side vs. their side” as might make the gods weep and advanced humans take to the forest to become wandering sadhus! It is no wonder then that in Act 3, Scene 1, Galtung presents us with a 7-page, interwoven dialogue between God and History! There is no real ending. It’s a dialogue that each of us must continue with those we encounter and with ourselves. “The Cardplayers” is a dialogical work in the manner of Job, or Plato’s Socratic Dialogues; in the manner of Augustine’s Soliloquies; Peter Abelard’s Dialogue between a Philosopher, a Jew and a Christian.” It is Jefferson confronting himself in “My Head and My Heart.” It is Descartes working towards a vision of a unified science in Discourse and Meditations. And, it is singular. S.P. 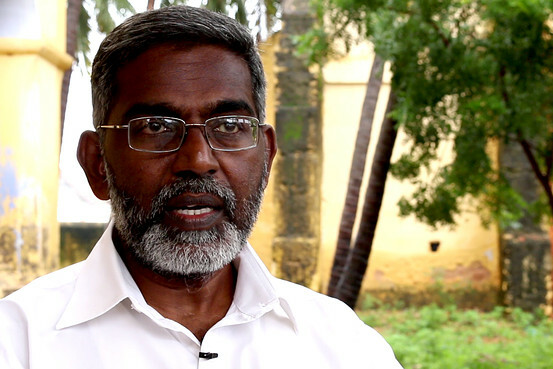 Udayakumar’s play is off-beat “theater of the absurd,” but the message is as downright, level-headed serious as the fact that we are facing mass extinction on our planet and we are bringing it on ourselves with our wasteful ways! In fact, our waste is killing us! Yeah, that kind of waste, too! So, what’s a good, capitalist solution? Why, make it profitable! Collect it, and use it as fuel! Other consultants offer ideas like “making a killing to neutralize outer space threats” (like nukes and missiles and ICBMs). Such “reasonable” peaceful “deterrents” to war are “shot down” because they will “take a lot of resources” and will have to have “political sanction,” too. Well, of course, “things fall apart,” as Yeats wrote, and what looks good on paper, or sounds good in a committee meeting, doesn’t work out so well in a single-use plastic-bag toilet! The fact that ACME is depending on poor countries like “Mansoniapur” [one assumes, India] to supply the “fuel” rubs Hindus, Christians, Muslims and Communists into perfect disharmony and acrimony! It’s a clear indictment of our capitalist-consumerist-profligate modern world. The play is just the right size to deliver a sharp bite and make us think. A bit too much “hedging” here: “written half in jest”; “attempts”; “what might have been.” I admit to losing interest when Menelaus started calling Agamemnon “Aggy,” and Odysseus called Menelaus “Loosey” and Achilles is transformed into “Asch”! It’s kind of a joke that’s too long getting to the punch-line. All in all, taken as a whole, Peace Plays is a splendid book: a lens with which to contemplate our modern world of foibles, follies, self-and-mass destruction. It’s a book to read, and re-read, and savor. It is whimsical and sobering; grating in a positive way; uplifting and transformative. Gary Corseri has published and posted articles, fiction and poems at hundreds of global venues, including, TMS (Transcend Media Service), The New York Times, Village Voice, Redbook Magazine, The Japan Times, and Counterpunch. He has published 2 novels and 2 collections of poetry, and his dramas have been produced on PBS-Atlanta and elsewhere. He edited the Manifestations literary anthology; has performed his poems at the Carter Presidential Library and Museum; and has taught in universities in the US and Japan, and in US public schools and prisons. Contact: Gary_Corseri@comcast.net. Anticopyright: Editorials and articles originated on TMS may be freely reprinted, disseminated, translated and used as background material, provided an acknowledgement and link to the source, TMS: How Do We ‘Package’ Peace? Can We Make It Palatable?, is included. Thank you.